Linda Peterson fans were treated to a special musical visit from her brother, Billy. Billy is a world-class Bassist who is constantly on the road playing with great Jazz groups both in the United States and in Europe. Valley favorite Linda Peterson is always a joy to listen to but when she is joined by a member of her large and talented family, she seems to sing and play at an even higher level. Linda is loved by many because of her wonderful piano playing and singing, her amazing selection of the greatest songs from the Great American Songbook and her contagious happy personality. It doesn't matter what mood you are in when you go to hear Linda perform, by the time you leave you will be humming a favorite tune and feeling at the top of your game. And it is not just her fans that love Linda so much, I have never heard anything but praise for Linda coming from all the best musicians in town. Quite a well-deserved tribute for a true professional and truly wonderful caring person. Woody's Palm House is the successor of the original and wildly-popular Woody's Beer and Burgers that moved into the Palm House last year. 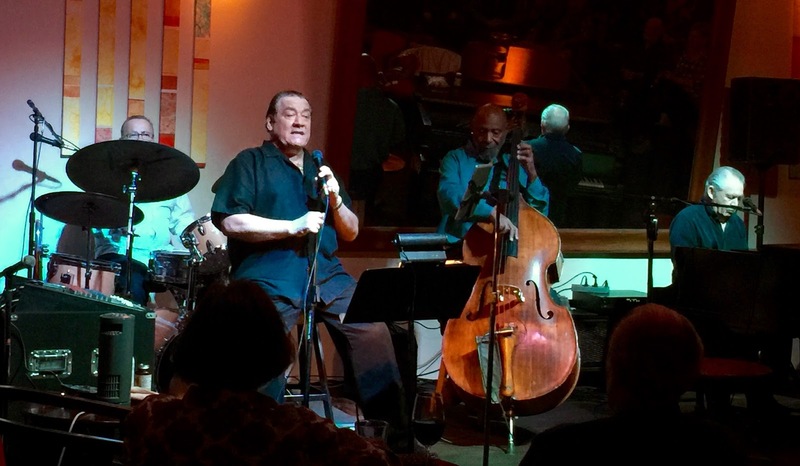 It's a great venue for Jazz and also some of the best food in the Valley. They still serve the same great hamburgers and other menu items from the old Woody's but now they have added great additional items to the menu. 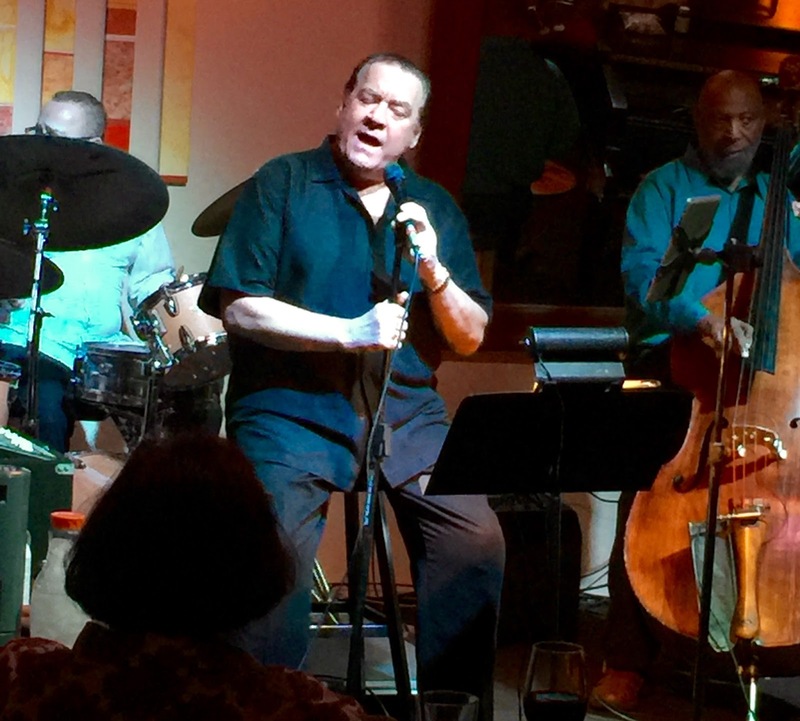 You are sure to enjoy great food, hear great Jazz and have a fun-time. Woody's is usually always sold out, so reservations are a must. Call ahead at 760-230-0188. 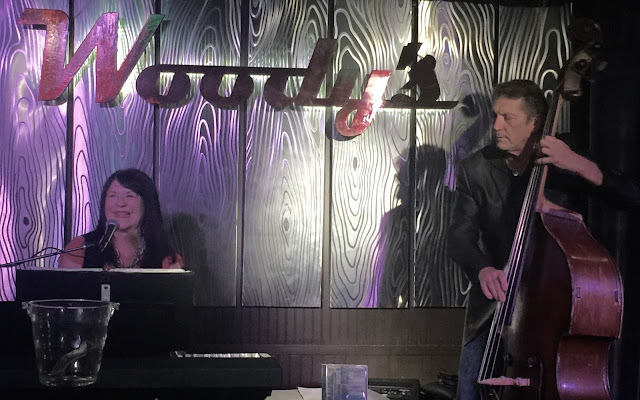 Linda Peterson performs at many venues throughout the Valley and when not playing a gig usually can be found sitting in with other great musicians. She performs at Woody's every Thursday night from 6 to 10 and every Sunday for brunch between 10 and 2. On Friday she holds court with Bassist Tibor Lesko on the patio at Fix on El Paseo from 5 to 8. Great fun place for a quick drink and small plates. Reservations call 760-340-3040. Saturdays you will find Linda at Backstreet Bistro in Palm Desert singing and playing for the lunch crowd. And Sunday evenings Linda performs at Chef George's from 6 to 9. Chef George is located at Country Club and Washington and has wonderful authentic Hungarian food at reasonable prices and great Jazz playing and singing from Linda. Reservations call 760-200-1768. I located a YouTube video of Linda playing and singing a few great standards, enjoy! 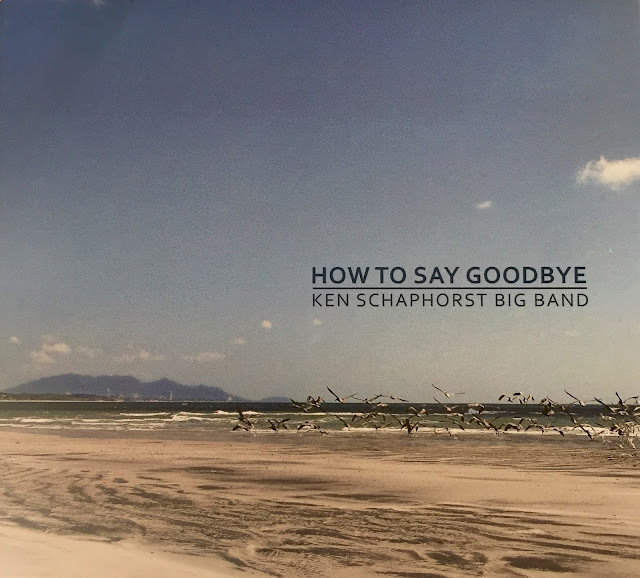 CD Review: Ken Schaphorst Big Band, "How To Say Goodbye"
There are not many great big band CDs being recorded today and that is a shame. In my opinion, nothing beats the sounds of Jazz being performed by a big band of talented musicians. I guess it's just too costly, and I imagine hard to get all the band members in a recording studio at the same time. But when are able to get a group of great players in the studio together and have a superb composer and bandleader, the magic starts to happen. Composer/Bandleader Ken Schaphorst, chair of the Jazz Studies Department at New England Conservatory has just released a wonderful big band CD, "How To Say Goodbye" and it is terrific. This CD has everything a big band CD would need to be excellent: Schaphorst composed and arranged 10 beautiful pieces of music and selected seasoned pros to join him in this effort. The result is a gift to Jazz lovers of a big band CD of outstanding musical quality. 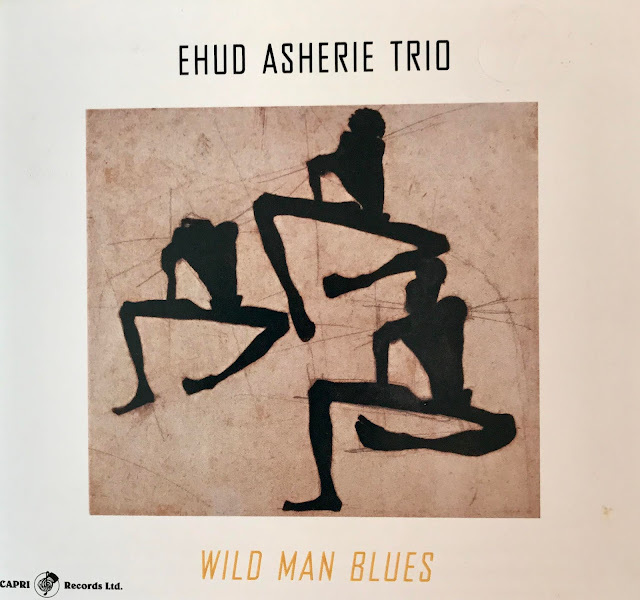 There is a lot of good stuff on this CD but the Schaphorst tune, "Blues for Herb" really appealed to me. This tune was composed as a tribute to Ken's friend influential Trumpeter and Educator Herb Pomeroy. Schaphorst developed a long musical relationship with Pomeroy who was always supportive of Ken and his music. This cut showcases some wonderful Tenor work by Donny McCaslin who was also a student of Pomeroy. 1. "How to Say Goodbye"
6. "Take Back the Country"
I found a "Youtube" of this cut and have attached it below for your review. Labels: Donny McCaslin, Herb Pomeroy, Ken Schaphorst. "How To Say Goodbye"
If you like songs from the "Great American Songbook" and great vocals, there is no better place than Vicky's in Indian Wells on Monday and Tuesday nights. Mike Costley's singing and major-star stage presence captures the audience from the first note he sings and does not release them until 2 hours later when he takes his first break. Mike has a strong voice with an unbelievable range probably 3 octaves and always puts on a Jazz vocal seminar at every performance. Mike Costley is without a doubt one of the best singers performing today. One only has to observe the large number of professional singers who show up whenever they have a free night to heard Mike sing. Tonight was no exception as some of the most talented Singers and Musicians in Southern California came to see Mike. This group included the multitalented Singer/Composer Michael Dees, and Valley favorite Linda Peterson who brought another talented member of her family Producer/Singer/ Composer, Rickie Peterson. Also in attendance was the outstanding Piano player, Richard Turner who performs with the John Stanley King group on Sunday nights at Vicky's, Pianist Judy Wolman, Tenor player Joe Canoura and several other talented Singers, Carole Hampton, Lee Hartley, Kristie King, Michael DelAngelo, Larry Capelito and Jeannie Norris. For Mike's Monday show he is supported by three highly talented and musically-skilled musicians, Dennis Michael on Piano and Vocals, Wayne Boyer on Drums and Flugelhorn and Henry Franklin on Bass. When Mike surrounds himself with musicians of this quality, his performance is raised to a greater height to the delight of the audience! Dennis Michael is the heart of the supporting group providing wonderful arrangements for Mike and thoughtful creative solos. Dennis has been the accompanist for numerous big-time Vocalists over the years and after listening to his piano work tonight it's easy to see why. His touch is soft and thoughtful providing solid support for Mike without taking any of his creative space away. Michael is also a wonderful Jazz singer in his own right. He sang a couple of Jazz songs Monday to the delight of the audience. 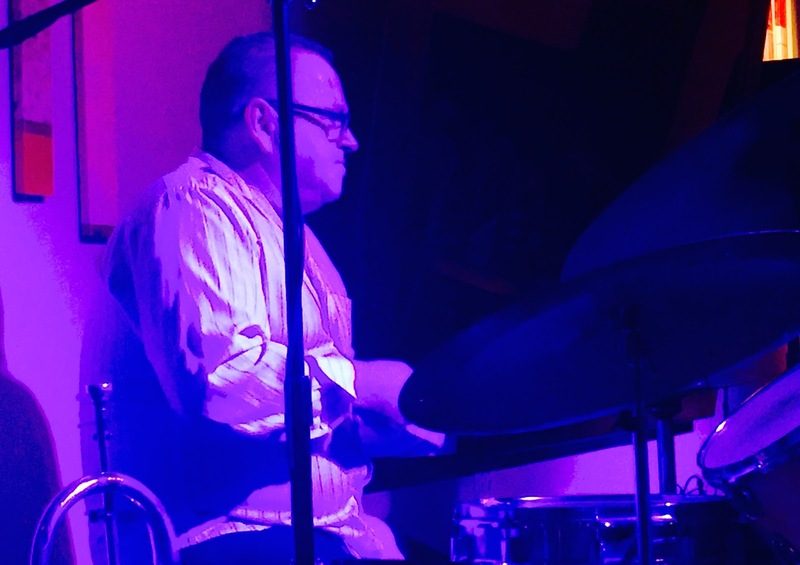 Wayne Boyer is a simply amazing musician playing Drums and Flugelhorn at the same time with excellence! Wayne also plays Piano and Organ. 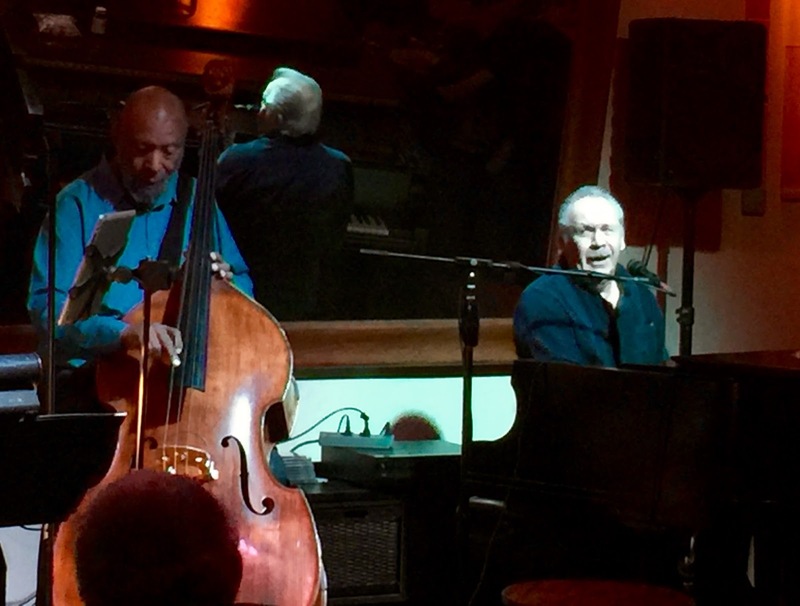 Completing this great supporting trio is Bassist, Henry Franklin. I have now seen Henry three times this season and he has quickly become one of my favorite Bassists. The music starts at 7:00pm but if you want a seat, plan to get to Vicky's early. Don't miss the chance to hear Mike Costley perform, it doesn't get any better than this!